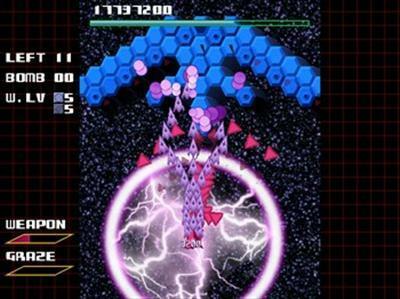 Digitalis (36.3mb made by Minimal Manufacturer 25/12/2014 ver1.02, no install .zip) is a great Japanese SHMUP with geometric shaped enemies and bosses. The in-game music is catchy, just what you need to get you in a hectic shooting frenzy. Great gameplay just with the right amount of difficulty, ship movement and firepower. 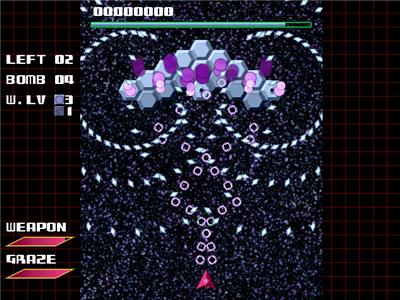 You will automatically collect powerups for enhanced firepower from certain enemies and all the level bosses. There are game continues but not many so play to win. 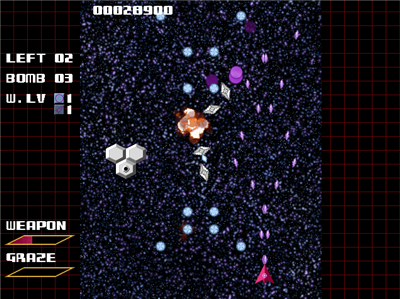 If you like your shooters then this freeware game might be worth a play. This game should play on most Window systems. 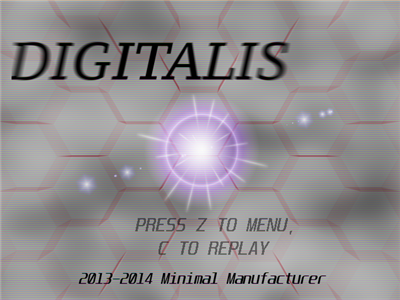 Replay/View gameplay - On the Title Screen, press the C key then select the game file from the Highscore Table and press the Z key to view your previous gameplay.